Yesterday, USD grew steadily against CAD, renewing its highs since January 25. USD demand is high despite the poor macroeconomic data publication. In addition, traders actively discuss the possible postponing of the planned meeting between US President Donald Trump and Chinese Chairman Xi Jinping. Analysts say the meeting is unlikely before the March deadline, which was set by both countries to conclude a final trade transaction. In general, optimism around the possible completion of the US-Chinese trade conflict has been declining lately, and the White House economic adviser Larry Kudlow said that the countries are still far from the deal. Today, investors wait for January labor market data in Canada. Analysts' forecasts are quite pessimistic. In particular, the January Unemployment Rate is expected to increase from 5.6% to 5.7%, and the Employment Number will increase by only 8K after rising by 9.3K in December. On the daily chart, Bollinger bands move flat. The price range is virtually unchanged but remains quite wide for the current activity level. MACD grows, keeping a strong buy signal (the histogram is above the signal line). 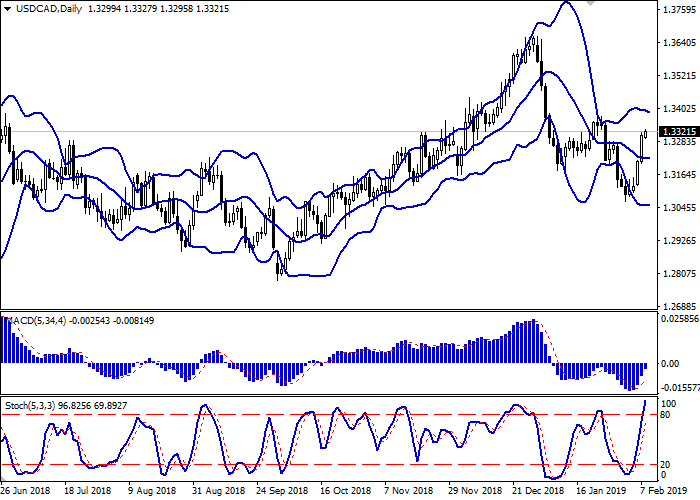 Stochastic rises almost vertically but is in near the level of 100, which signals that USD can become overbought in the super-short and short term. The current readings do not contradict the development of the “bullish” trend in the short term. Resistance levels: 1.3327, 1.3374, 1.3443. Support levels: 1.3284, 1.3247, 1.3200, 1.3164. 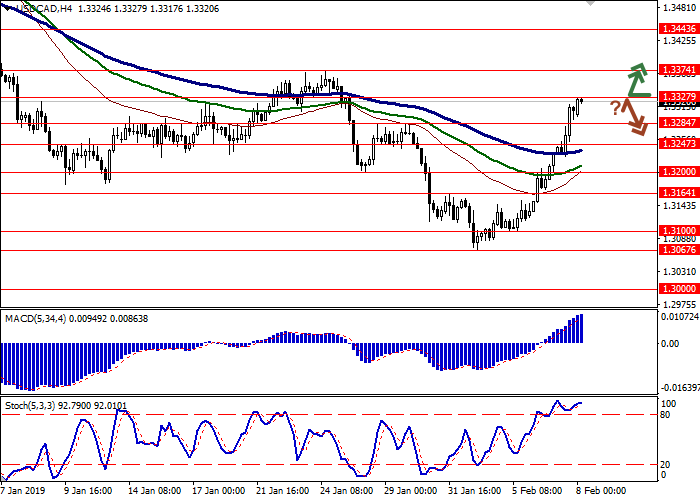 Long positions can be opened after the breakout of 1.3327 with the target at 1.3443. Stop loss is 1.3284. 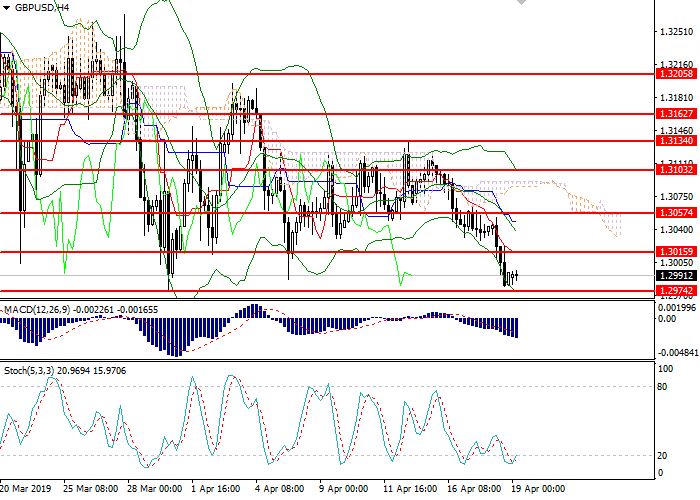 Short positions can be opened after the rebound from 1.3327 and the breakdown of 1.3284 with the target at 1.3200 or 1.3164. Stop loss is 1.3327.